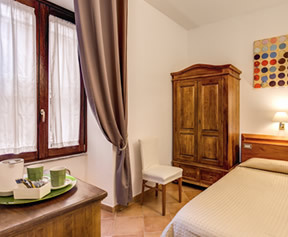 Many of the famous sights are all within short walking distance of the popular budget accommodation hotel complex situated in the stylish heart of Rome. Via Nazionale is a prominent artery linking two of the capital’s main squares, Piazza Venezia and Piazza della Repubblica. 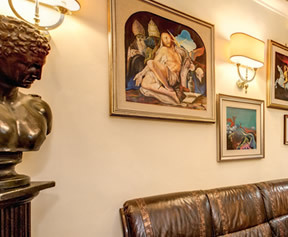 A sojourn at the Hotel Gea di Vulcano not only offers cheap satisfying 3 star accommodation, but a stay in the heart of Rome amongst the fascinating monuments and awe-inspiring architecture of the Eternal City. 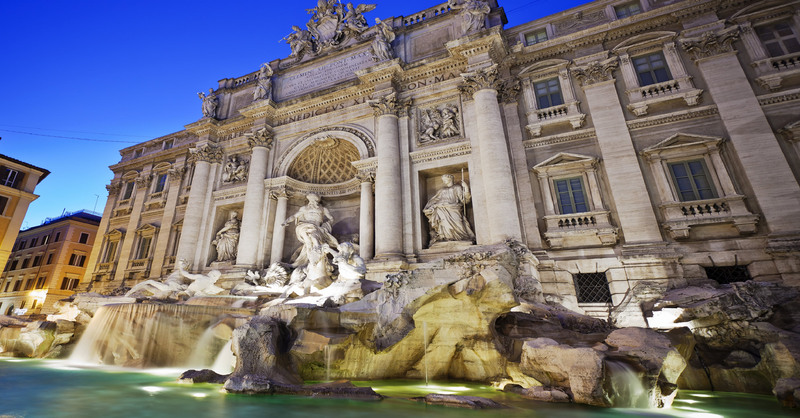 Piazza Venezia welcomes visitors to the famous ancient ruins of Rome. The piazza is overshadowed by the ‘Wedding Cake’ - the affectionate nickname of the Vittoriano monument commemorating Vittorio Emanuele II, the unifier of Italy. The nearby Palazzo di Venezia was the official residence of Mussolini. 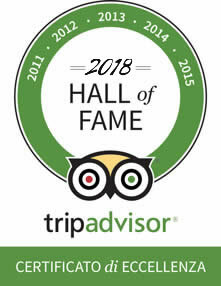 It is now home to many international art exhibitions. The Imperial Forums are a must-see and the extensively excavated Foro di Traiano is highly recommended. The Roman Forum was the commercial, political and commercial centre of ancient Rome and can be admired on the way to Rome’s premier tourist attraction – the Colosseum. 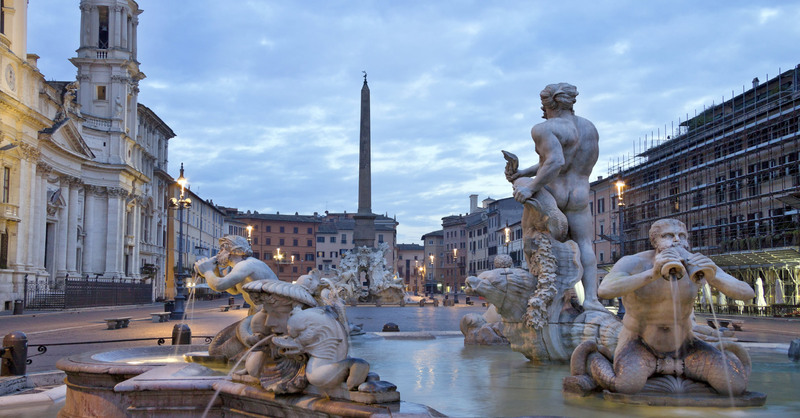 Piazza della Repubblica is one of the many beautiful Piazze of Rome. In the centre of the square are fountains with bathing nymphs, delightful during the warm summer season. Visit the Terme di Diocleziano, a complex of libraries, baths, concert halls and gardens that was completed in the 4th century. East of Piazza della Repubblica is Stazione Termini which is the main transport hub of Rome and is where the large majority of tourists arrive. 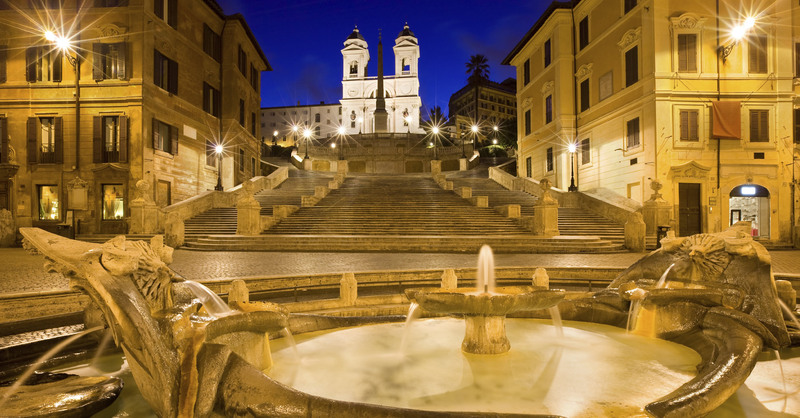 Many of the most famous monuments are a very short stroll from the Hotel Gea Rome. 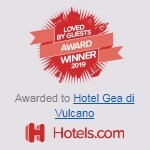 The Hotel Gea di Vulcano offers cheap 3 star accommodation right in the centre of Rome. 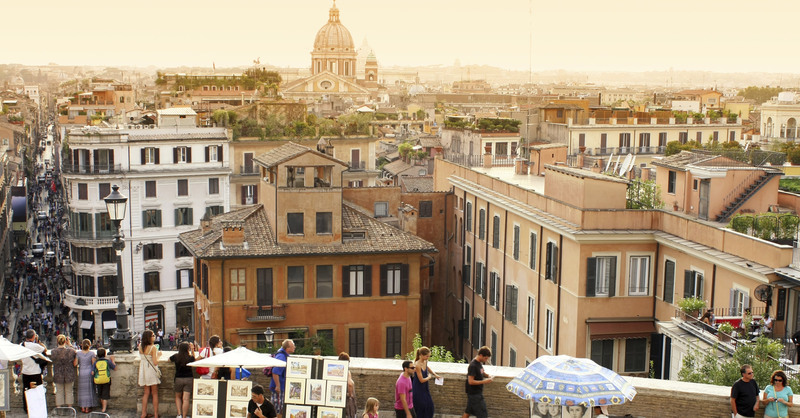 Located on Via Nazionale, the Hotel Gea offers easy access to all of the most appealing Rome attractions. 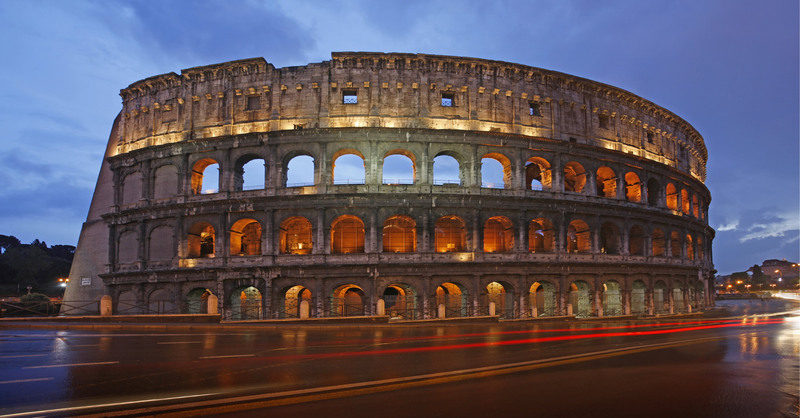 Guests residing here will find themselves immersed in ancient and renaissance Roman monuments. 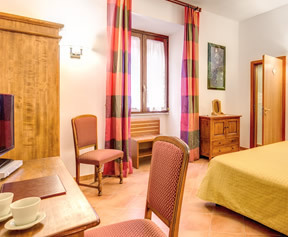 The Spanish Steps, Trevi Fountain, Pantheon, Quirinale, Piazza Navona and Piazza Colonna are all located close to the Hotel Gea di Vulcano Rome.